Imagine a test that could tell you how good you can ultimately get in any foreign language, from Hindi to Welsh, from Igbo to Spanish, before you’ve even learned how to say “hello” or “please pass the butter.” Tres alléchant, no? Most adults would have to put in 10 years or more of dedicated work to find out if they have what it takes to end up with the vocabulary, accent, and grammatical sensibilities of a near-native speaker. This test could direct them from the début. And it may be coming your way soon. Called the Hi-LAB (or “High Level Language Aptitude Battery”), it was developed by University of Maryland researchers working on a government contract in order to predict a person’s ability to learn a language to a very high level. Since its release in 2012, the Hi-LAB has been rolled out to government agencies and military training schools and will eventually be available for civilians as well. (Details of the Hi-LAB were only recently released to the public.) In the same way that America’s space program and the Cold War created spin-off products and technologies that altered civilian life, the Hi-LAB could become one of the first civilian benefits to come out of America’s war on terror. Scientists who study second language acquisition have long been fascinated by the difficulty that adults have in becoming native-like in a language they begin learning after puberty. Most adults have no problem picking up modest amounts of vocabulary and grammar, assuming they’re motivated to put in sustained effort. But to become highly skilled in a second language, simply devoting the 10,000 hours of practice that Malcolm Gladwell made famous in Outliers isn’t enough. It turns out that a person needs high-performing cognitive hardware, too. The Hi-LAB provides feedback about who has this ability from the get-go, before the armed services invest any money in them. Cathy Doughty, the director of the team that developed the Hi-LAB, says: “Research has shown both focused motivation and personality factors to be necessary… [but they] don’t guarantee success, because the outcomes are limited by aptitude.” Will education eventually follow this model too? The path to the Hi-LAB began in the aftermath of 9/11, when investigators discovered that a translation backlog at the FBI and NSA had left relevant communications in Arabic untranslated. Then the wars in Afghanistan and Iraq created a huge need for military, diplomatic, and intelligence personnel who knew languages like Arabic, Dari, Pashto, and Urdu. These events underscored a problem that language experts in Washington, D.C. had warned about for decades: There weren’t enough trained language experts. The U.S. needed to increase the number of such experts available, and quickly. The Center for the Advanced Study of Language at the University of Maryland (CASL) was founded in 2003 with that goal. The Department of Defense now funds it at $12 to $15 million a year for research in language, cognition, and culture. Among their many assignments a decade ago was to create a test that could screen prospective language students among military and diplomatic personnel. Prior to this, language training facilities relied on aptitude tests that were designed to predict only short-term achievement. Such tests have existed since the 1930s; the most widely used, the Modern Language Aptitude Test, was first published in 1959, and an adaptation, the Defense Language Aptitude Battery (DLAB), was developed in the late 1960s specifically for the Defense Language Institute (DLI) in Monterey, Calif., where military personnel go for language training. His pronunciation was impeccable, he knew the grammar, and he knew what Russians talked about: the jokes, slang, curses, idioms. He could pass for a native speaker. The Defense Language Institute used the aptitude test scores to track people toward certain languages—the higher their aptitude, the harder the language they could be directed toward. Score really well on the DLAB and you’d be headed for Chinese, Arabic, Japanese, and Korean classes. Score lower, and you’d be tracked into languages that are more similar to English, such as Romance or Germanic languages. The issue, says Doughty, was that the aptitude test could not predict who could progress past a certain point; many language professionals were getting “ ‘stuck’ at basic proficiency.” As a result, the armed services were short of language experts, and their results-oriented culture chafed at the inefficiency. “We can train a helicopter pilot in four months, it takes a year to train a linguist. What’s up with that?” one general was known to gripe. As they raced to build a way to test someone’s future learning ability, Doughty said she and her fellow researchers were faced with a very particular challenge: understanding how a monolingual adult could successfully learn a second language. Most specialists assumed that by the time a person was an adult, the circuitry for language learning had been set in place and to learn a second language they had to employ other parts of their brains. But in the last 30 years, thanks to the work of Alan Baddeley and Peter Skehan, among others, research on language learning showed that to really master a second language, many of the same cognitive abilities that were used in native language learning were needed. Starting in the 1970s, Baddeley devised the notion of working memory, showing how it was the crucial mechanism in a range of mental tasks. Then, in the 1980s and 90s, linguist Skehan proposed a theory of second language acquisition based on general cognitive abilities, such as working memory, pattern recognition, and the information-processing capacity of the brain, which would include implicit learning and associative memory. At a time when aptitude research had fallen by the wayside, Skehan’s ideas opened new doors for understanding what made language learners tick. This is the some of the science that CASL researchers drew on when they built a theoretical model of the cognitive components of language learning aptitude. But even with the theory in hand, they had to test it against the skills and abilities of real language learners. Fortunately, as part of the Washington language establishment, the CASL researchers had access to many talented language learners. Once those learners were identified, the researchers classified them according to the abilities that the theory of aptitude said they’d have. The sort of learner they zeroed in on is exemplified by a former soldier named Charlie Cole. In 1966, after he completed basic training, he was sent to DLI at age 19 to learn Russian. After 18 months he was deployed to Europe and did classified intelligence work before returning to Monterey to become a legendary teacher. Cole’s colleagues say that he’s the archetype of the student they want to produce. His pronunciation was impeccable, he knew the grammar, and he knew what Russians talked about: the jokes, the slang, the curses, the idioms. He could pass for a native speaker. Hoping to see Cole’s traits writ large, in 2011, CASL researchers assembled a group of around 500 employees from federal agencies who were like him. That meant they had high levels of proficiency in a language they’d begun learning as an adult. They were given a series of tasks to test their memory, ability to focus, and sensitivity to language sounds. On the first task, subjects listened to a series of consonants, with three presented every second, and had to recall the last six consonants they heard, testing their working memory. In a related task, which also tested working memory, they were shown a series of one or two syllable-length nonsense words, then they were prompted with another set of words and had to immediately indicate whether or not the items in the second set had been present in the first. At the time, neither subjects nor researchers knew how central the results of these working memory tasks would be to measuring high-level aptitude. Another task that proved important was a test of associative memory, or how well someone links new information to what they already know. Subjects learned 20 pairs of words, one English and the other in nonsense language. Several minutes later, they were presented with the nonsense word and had to type its corresponding English word. At the outset, researchers suspected that associative memory would prove to be important, as it had been included in the aptitude tests of the 1950s. Next was a set of tasks that measured a person’s ability to filter out noise and deal with distraction, such as throwing in an unrelated visual cue and seeing if the person could inhibit the impulse to look. Next, subjects heard a list of five words, then saw two other words that were synonyms with words on the list; they had to select which word corresponded with the largest number of words. The time it took to make a selection was measured, as was whether or not a person chose correctly. This was a test of a person’s long-term memory. Subjects were then asked to learn sequences of patterns made by an asterisk that appears in one of four boxes as well as discern speech vocalizations that sound the same to most English speakers. For example, they were asked to distinguish between two consonants in Hindi that, to English speakers, sound the same. There was another test involving two sounds from Russian. The researchers could have used sounds from languages other than Hindi or Russian, but the goal was to see whether people could pick up subtle sound differences despite their English-speaking background. One might think that listening abilities would be a central part of high-level learning, but the results eventually showed otherwise. Many aspects of language can’t be learned. They get soaked in as you watch movies in that language, listen to the radio, and find yourself repeating phrases you heard on the street. Before the participants took the half-day long tests they’d been sorted according to how well they knew a second language. The ones like Charlie Cole who had mastered all aspects of a foreign language, such as speaking, writing, and listening, were called “high attainers,” while those who were good at one skill were labeled “mixed attainers.” CASL researchers wanted to see which of the particular abilities they had just tested for—whether short-term memory, acoustic sensitivity, or one of the others—was most prevalent among the high attainer group. Those who were able to learn patterns, remember sounds quickly, and associate new information were much more likely to be in the high attainment group. The test could predict with 70 percent accuracy who was a high language attainer. It was the first solid evidence that those were the skills that would likely ensure long-term language learning success. In 2013, when the results were finalized, Doughty and her team had verified a working blueprint of the cognitive abilities of a talented language learner who could reach high levels of proficiency. The profile matched all of the recent findings that a good working memory correlated with successful second language learning. Working memory is often called “the brain’s workbench.” It allows you to keep information in your mind while you work on it. There’s a particular aspect of it, called the “phonological loop,” which is the ability that allows you to keep a phone number in your head for a moment before you write it down, or to keep a phrase that you just heard in your mind while you figure out how to pronounce it. It also allows you to keep words in mind while you’re changing them, such as adding inflections, or monitoring what you’re about to say to make sure it’s correct. And there was also new evidence that confirms that adults learning a second language draw on processes much like the ones they used to learn their first language as children. Babies don’t get very much explicit instruction about their language. Yet they are able to extract meaningful patterns from lots of instances of sounds, meaning, or linguistic structures. This is called “implicit learning.” CASL’s Hi-LAB research showed that the talented language learner is also able to extrapolate his or her own rules of language from lots of examples. This is a crucial skill, because, as Doughty explained, “many aspects of complex linguistic systems cannot be learned through rule explanation.” It just gets soaked in as you watch movies in that language, listen to the radio, and find yourself repeating phrases you heard on the street. CASL’s research joins other very recent findings on implicit learning and language aptitude. In one study published in Psychological Science in 2013,1 people’s performance on an implicit learning task correlated with an ability to learn Hebrew words, and in another study published in Language Learning,2 people who did well on sequence learning tasks (such as those used in the Hi-LAB study) also did well understanding grammar in a second language. It all points in one direction: “that implicit learning may be a large part of how second languages are acquired,” said Bozena Pajak, a postdoctoral researcher at the Center for Language Sciences at the University of Rochester. 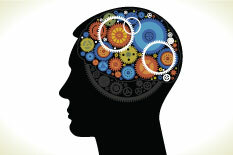 Identifying these specific traits—working memory, associative memory, and implicit learning—and linking them to language learning success allowed CASL to develop the Hi-LAB, which as of 2012 has been given to military and civilians looking to advance their careers with additional language training. Although it’s too early to say whether this has helped the government produce more Charlie Coles, many inside have expressed confidence in it, and employees are eager to take the Hi-LAB to find out how they can improve their language performances. The Hi-LAB can also become a powerful tool in the educational sphere. Because it identifies a person’s learning strengths and weaknesses, the test results could grease a student’s instructional path by showing how they learn best, whether it’s through reading or talking to people, through explicit grammar lessons or watching movies. CASL executive director Amy Weinberg said that a partnership is in the works with IBM to develop a learner management system that would deliver the appropriate language learning material to people based on their test results and other factors. “By 2022, tablet–like and smartphone-like devices will have the power to produce a language learning ‘app’ [that] could [customize] training material according to a student’s individual learning style,” Weinberg says. Imagine that after you take the Hi-LAB, your smartphone simply adjusts the apps you use to train in Arabic, Korean, or French. One potential use would be to support rapid language learning by people who are involved in massive one-time international events like the World Cup or the Olympics. Anything that can help people know in advance how to channel their time and energy would be an effort well spent. After all, as Weinberg notes, the percentage of Americans studying a foreign language is so small that even a good familiarity with another language and its culture can make a big difference. “We cannot be competitive in a world,” she said, “where only 18 percent of our children even take a foreign language.” Michael Erard has written for The New York Times, Science, Wired, Slate, The Atlantic, and New Scientist. He is the author of Babel No More, a book about the science and practice of polyglotism. He lives in Maine.